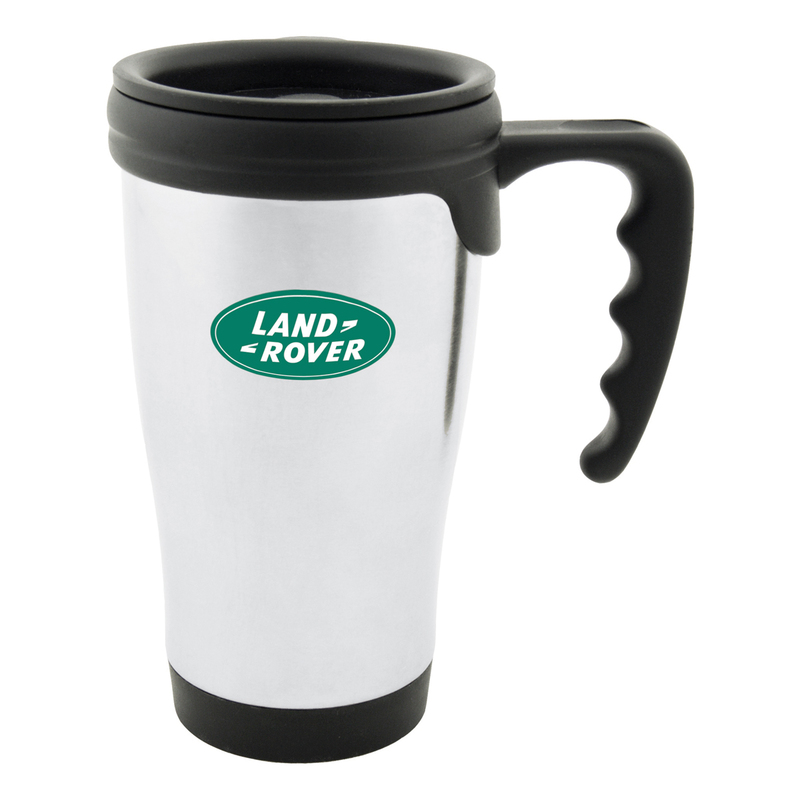 A stainless steel travel mug that will represent your logo with style and class. Elegance meets quality with these stunning travel mugs. They have a capacity of 473mL and utilise a double wall build with a plastic interior and stainless steel exterior to keep drinks hot or cool for longer. These are an extremely popular travel mug due to the quick production, attractive design and easy to grip handle and push on lock top lid. Comes individually packed in a white box.